Since the Simple Start plan with the single user doesn’t allow you to actually transfer Master Administrator rights to another user, you will need to edit the user information. You’ll also want to make sure the email tied to the account and the login information are correct. Highlight “Master Admin” area before clicking Edit button. Edit the first and last name, as well as the Email Address, to have the correct information for the person who should be the Master Administrator. On the left side, select Personal Info. 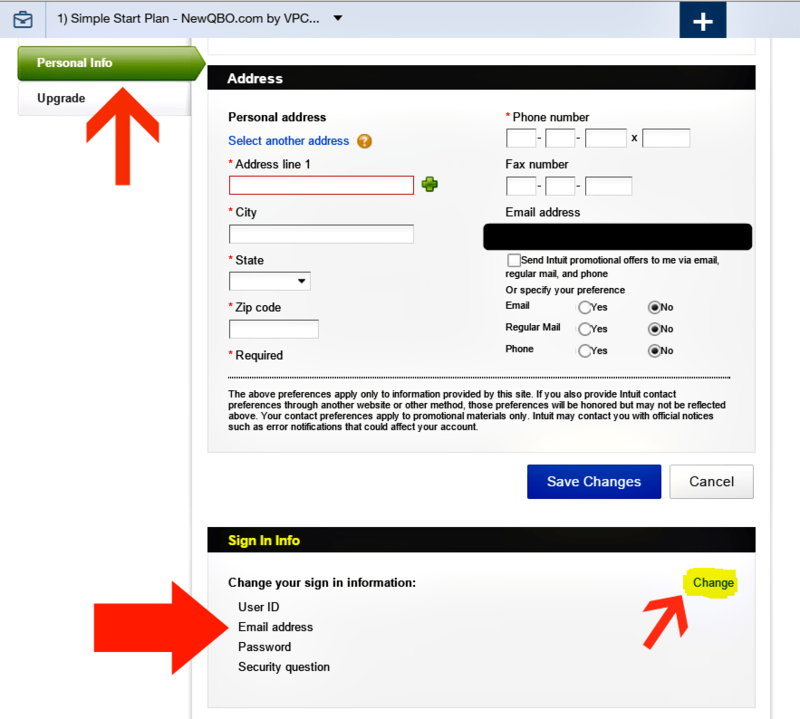 Under the “Sign In info” section, choose “Change” link and change the User ID, Email address, Email address and Security question to what they need to be. It is possible on some versions they may have moved “You Company” to left side and combined and renamed as “Account and Settings”. If so, you will see “Manage Users under “Your Company on the left side as well.